Believe it or not, the time machine I built actually did work. Using nothing but massive amounts of duct tape and superglue, my mechanical wonder successfully transported me back to the Middle Ages. It was a mind-blowing experience, and one that was not the least bit enjoyable. Pigs and wild horses roamed the mud-covered streets, people were raving about “The Pestilence”, and one misstep into a rogue knight would get an ear chopped off. 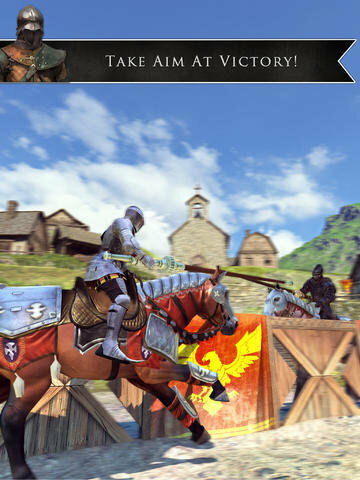 Deciding that modern times were generally safer (and cleaner), I jumped back to our time and downloaded Rival Knights in hopes of experiencing just the fun parts of the ancient times. Turns out a ride in my not-even-close to comfortable duct tape time machine is a better deal. If we were to take app Rival Knights as a history lesson (which you shouldn’t), then actual knights didn’t see battle, didn’t fight ferociously with swords, and had petty squabbles with the locals. Oh, and they spent almost all of their time jousting. 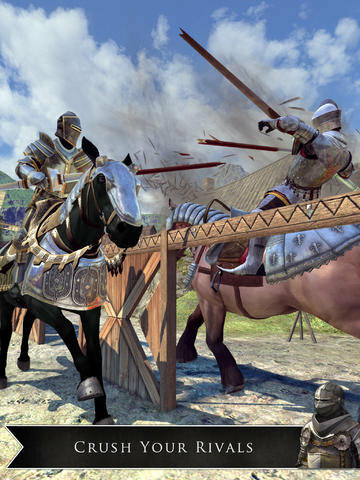 I sure hope you like jousting, because that’s all you’ll be doing (sort of) as long as you play this app. Rival Knights is just a stream of jousts which control like minigames. Using a strange best of three, “rock-paper-scissors-esque” mechanic, you have to control your horse and maneuver your lance in hopes to beat your opponent in two of three stats; speed, armor, and power. Speed is measured by how accurately you tap a moving gauge at just the right moment (similar to many mobile drag racing games), armor is measured by your gear quality, and power is measured by how well you aim your lance. What’s weird is that two of the stats, speed and power, are directly player controlled, but armor appears reliant solely on your actions off of your horse. Basically, if you have the right armor, you only have to beat your opponent in one skill category to win. Adding RPG elements in the form of armor and weapon upgrades paves the way for this weird gameplay setup to become even more unbalanced when microtransactions are added. This poses problems, especially since before a match, you can pay for a boost in any of the three stats, thus giving you a boon. How unfair and un-fun. And speaking of un-fun, the game uses a series of timers to keep your wallet at the ready. The fact that each joust is a minute long at best ensures that you’ll be standing outside the locked castle gates before very long. But that doesn’t really matter when the game is so repetitive and boring. And if you spend a little time and save your coins, a bit of practice and some strategically purchased gear make the game seem too easy. There is multiplayer mode, but it’s underwhelming. Multiplayer is asynchronous, which takes some of the thrill out of each match, and the gameplay is identical to that of the single-player mode. If you were looking for a fresh experience in the different mode, you’re sadly out of luck. The game does look pretty, if nothing else. A ragdoll physics system has the knights react properly to each smash of the lance, and seeing your opponent go sailing into the dirt is satisfying. The whinnying of the horses and the face-plants all have auditory impact too. But polish alone won’t save the somewhat stale and repetitive gameplay. 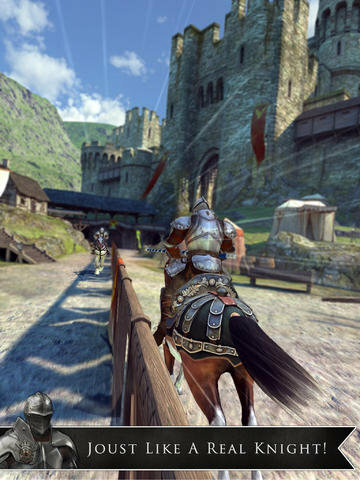 Aside from some good graphics, there’s no need to spare a second glance at Rival Knights. Endless jousting gets old very quickly, and even from the get-go it feels unfair and packed with micro-transactions. It is probably best to take your horse and gallop away from this app.